"War is coming - and that means our secret agents must get busy. 'August 1918. On his way to the Western Front, Captain Alan Clinton spends a night in Paris with a young Frenchwoman, Marie Roget. Seduced by Marie's charms, Clinton discloses British military secrets - with disastrous consequences. Seventeen years later. The central European state of Ronstadt is ruled by the ruthless dictator Kuhnreich, and Europe is inching towards another war. Clinton's son Bobby travels to Europe as the political situation grows tenser, and seems dangerously close to repeating the sins of his father - leaving only his girlfriend to prove his innocence in a race against time. This thriller from 1936 is here republished for the first time in almost 70 years, with an introduction by the award-winning expert on inter-war popular fiction, Martin Edwards.Since Sydney Horler's death in 1954 his work has fallen into neglect, partly because of the outmoded political opinions that are often expressed in the novels. 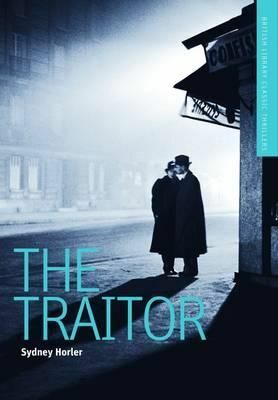 This new edition of The Traitor gives contemporary readers a long overdue chance to rediscover an early thriller that is plotted with dash and verve - a book that helps to explain the author's phenomenal popularity in his own time.